King’s Cross Central Partnership Ltd. hosted a pop-up roller skating rink and diner designed by architects Feix & Merlin in London, for eight weeks during the Summer of 2013. 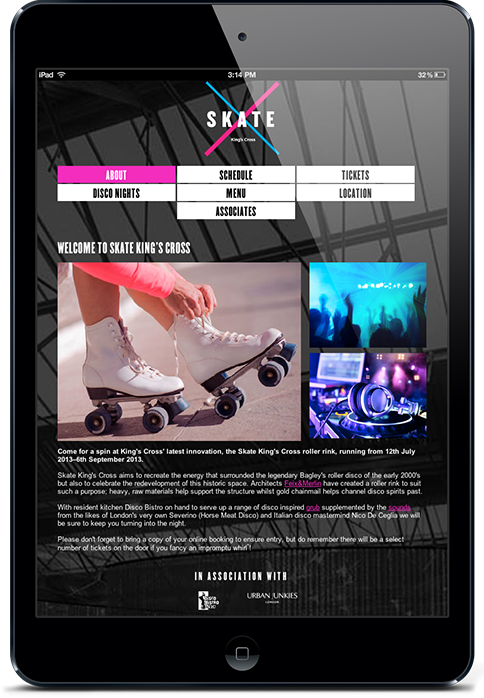 Working with I-am Beyond, I developed an adaptive website allowing users to view and book skating times, and to find the skating rink. Guest DJs and chefs were invited over the eight weeks, so menus and listings needed to be posted to the site. As the venue was still under construction while the marketing elements were being developed, ambient imagery was used to give a flavour of the event. 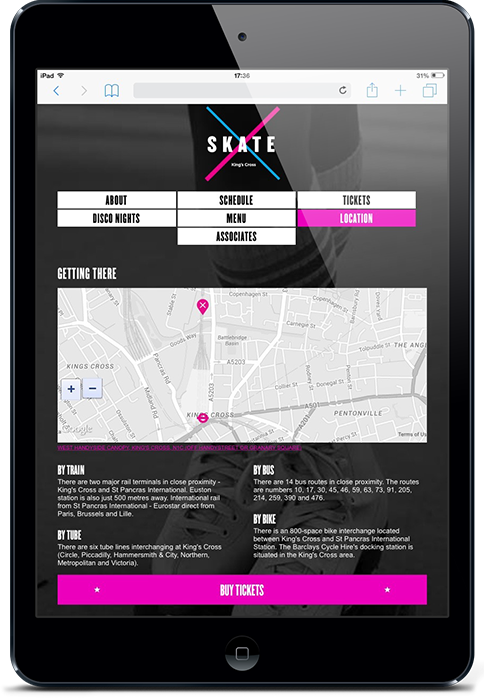 A lightweight CMS was included with the site, so the client could update information as the event progressed. After the success of the first event, the event was repeated for two subsequent years by the organisers.